When I was a little kid growing up in Nebraska my mother often read to me. My favorite book was The Poky Little Puppy. For my three brothers and me, my mom was our first reading teacher. My father, an entomologist, and inspiration for Buzzy and the Little Critters, taught me to love bugs and shared the fun of drawing with me. As a child I dreamed about being an artist when I grew up. I never stopped imagining that. However, I’ve had two other careers. First after college I was a teacher, school counselor, and principal in Nebraska, Washington, and Oregon. Then I became a management consultant and leadership coach (Principal Consultant at KRH Consulting - author of Smart Isn't Enough). Now I’ve returned to my first love: telling stories and drawing. 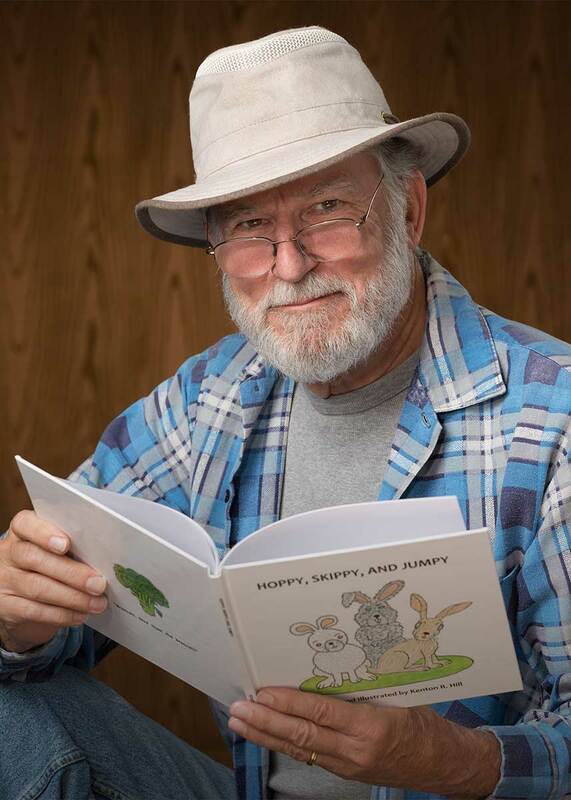 I am now writing and illustrating children’s books at my art studio in Portland, Oregon, where I live with my wife and continue to enjoy sharing stories with my four children and six grandchildren.